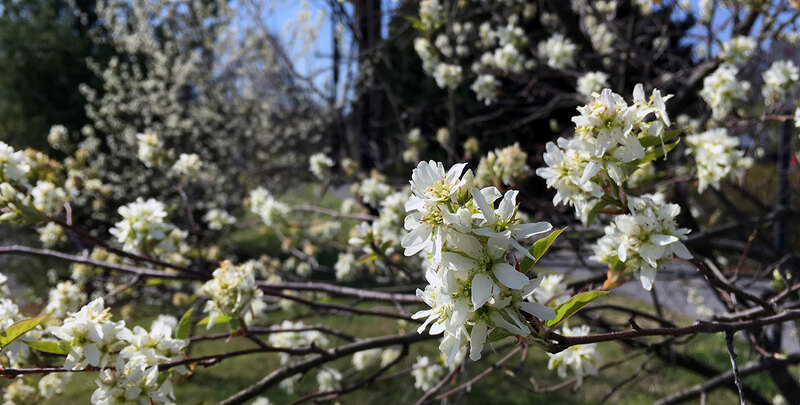 Juneberry or amelanchier lamarckii, also known as snowy mespilus, is a rather small deciduous tree or shrub with showy white flowers in the spring. In the autumn, it is decorated with purple fruits and lovely autumn colours. In June and July, edible berries appear. These fruits are highly sought after by birds, but can also be consumed by humans, so you can eat these delicious fruits if you like. These fruits known as juneberries are commonly used in desserts, especially in the United States, but if you would like to make your garden a little livelier by choosing a hedge that is attractive to wildlife, it would be a good idea to leave them on the plant and provide food for the birds. Juneberry hedges have a fairly open growth habit. If you are looking for a neat and formal hedge that will provide you with year-round privacy, there are hedging plants that are better suited to that purpose than juneberry. The juneberry is a voluminous shrub that can create a fairly dense hedge if used as a single species hedge, but it will always remain somewhat open and is therefore not suitable as a privacy hedge. Juneberry hedges can reach a height of around 1.50 metres. Juneberry plants are also a familiar sight in mixed species hedges, as juneberries lend themselves perfectly for this purpose. Their gorgeous leaves are bronze in the spring, maturing to a deep green in the summer and turn orange and red in the autumn. While juneberry is a native genus that can be found all across the Northern Hemisphere, most of its species are native to North America and the east of that continent in particular. The rise of the species’ popularity as an ornamental plant is inextricably linked to the European discovery of North America. 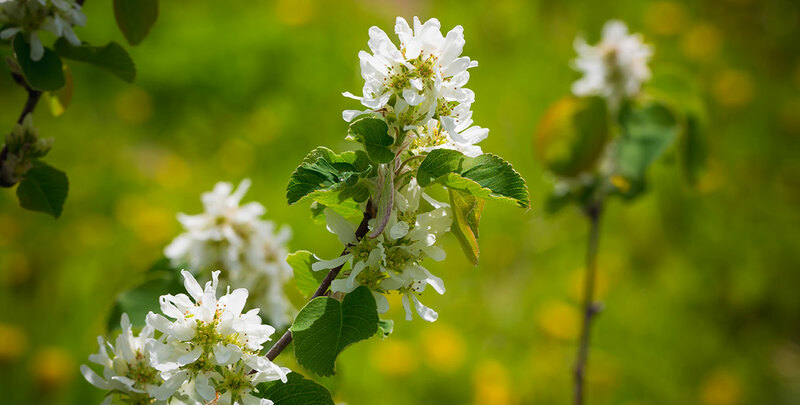 Settlers came across the juneberry and were impressed by its elegant flowers and the seasonal colours of its foliage. Nineteenth century British landowners were looking to decorate their own gardens and properties with the elegance that amelanchier species had to offer and that is how the history of juneberry as an ornamental plant in our part of the world started, despite several species being native to the Mediterranean region. 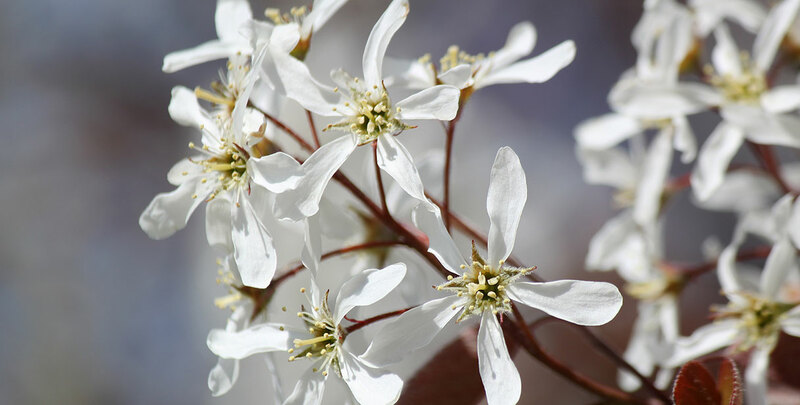 Many of the names commonly used to refer to this genus in North America, such as saskatoon and serviceberry, find their origins in the days when settlers were exploring the continent. Naturally, the edible juneberries, of which have a flavour that somewhat resembles blueberries, have contributed to the popularity of the species as well. They are often used to make jams or pies, but can also be consumed raw. And while many fruits from deciduous hedging plants have seeds that are toxic, those of juneberries are edible and somewhat almond-like in flavour. The hard, close-grained wood of juneberry species is traditionally used by Native Americans to fashion arrow shafts, but can also be used for the production of fishing rods and tool handles. Juneberry hedges grow well in the full sun or partial shade in a fertile, moist, though well-drained soil with a neutral to acidic pH. Sandy soils or clay should not cause any problems. Juneberry hedges have an average growth rate of about 20 to 40 centimetres per year. They are fully hardy, very versatile and long-lived. As most juneberry species are native to the temperate climates of the Northern Hemisphere, they will certainly thrive in our climate. Once your juneberry plants have become established, they can go for weeks without additional watering. 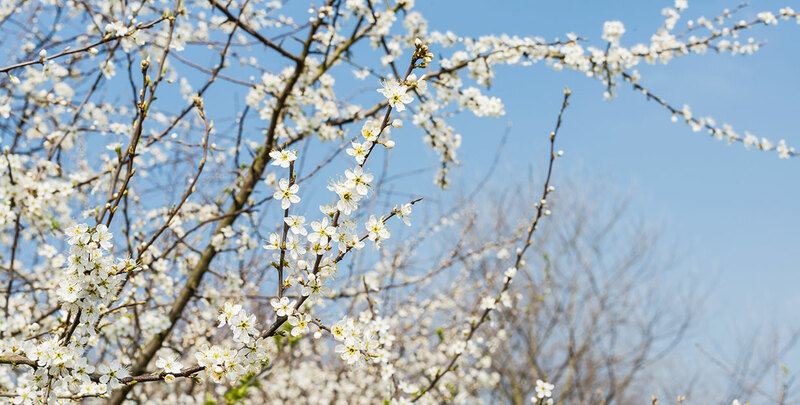 We do advise you to carefully water your juneberry hedge in case of extremely windy or hot weather, as they will be in danger of drying out under those circumstances. If your juneberry hedge becomes too large for your taste, just trim them back after they finish flowering in the spring. It is generally recommended to remove broken, dead or diseased branches, as this is beneficial to the health of your hedge, but since a juneberry hedge is most commonly planted for its wild, informal appearance, rigorous pruning will not be necessary, unless you want to alter its appearance drastically. Juneberry is very tolerant of pruning though. It is important to note that due to their relatively rapid growth rate, juneberry hedges are best suited to larger gardens or to create wild, informal hedges. However, if you are able to give a juneberry hedge the space that it requires, it will certainly give your garden a lively, vibrant look throughout the entire year. Juneberries are most commonly planted as stand-alone shrubs, but also make excellent informal hedges for larger gardens. The elegant flowers and the edible berries will certainly add a little colour to any garden. A juneberry hedge is also an excellent wildlife hedge, as birds are attracted to it and love to eat its fruits. The sweet, tasty berries can also be used to make jams or even be consumed raw, but the birds will certainly appreciate it if you leave at least a couple of berries for them. Your garden will look even livelier than usual during their visits. The juneberry is a stunning hedging plant in all seasons and makes an excellent addition to a wild or country garden. If you do not mind a relatively open hedge and have enough space to deal with its relatively rapid growth rate, we highly recommend planting this beautiful wild hedge in your garden, though of course, it can also be combined with other species to create a beautiful mixed hedge.